What Is Euthanasia and Physician-Assisted Suicide? Euthanasia is the act of a physician or other third party ending a patient's life in response to severe, persistent and untreatable pain and suffering. It is sometimes referred to as assisted suicide, physician-assisted death, physician-assisted suicide, mercy killing, and other variations; however, assisted suicide and euthanasia have differences. Assisted suicide is intentionally and knowingly providing the means for another to commit suicide. For example, providing a prescription medication to someone with the knowledge that they intend to use it for the purpose of suicide. Euthanasia involves a person, such as a physician, knowingly acting to cause the death of a person suffering from severe and incurable pain. For example, a physician giving injections of drugs to induce coma and then stop the heart. There are two primary classifications of euthanasia. 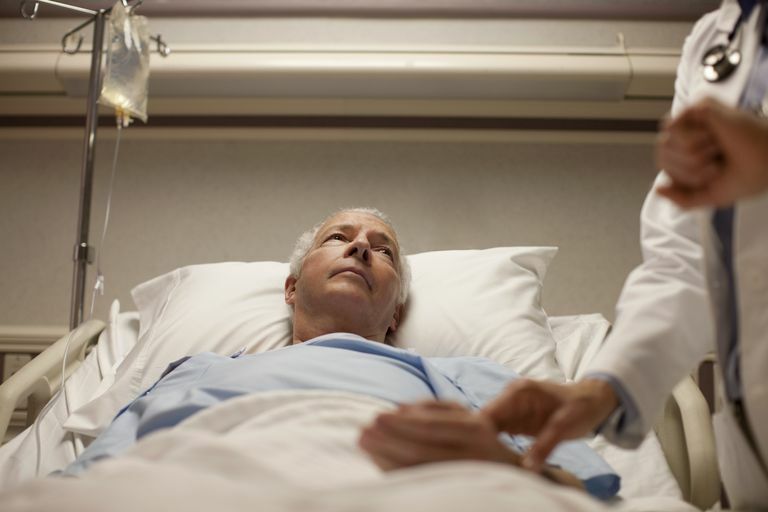 Voluntary euthanasia refers to the action taken by the physician and the patient, who both agree (with informed consent) to end the patient's life. Involuntary euthanasia refers to a third party taking a patient's life without the informed consent of the patient. This is commonly practiced in veterinary medicine when animals are "put down" or "put to sleep." In modern medicine, it could conceivably be applied to the act of taking a terminally ill, suffering patient's life who has lost all mental capacity to make his/her own decisions. Is Euthanasia or Physician-Assisted Suicide Legal? Voluntary euthanasia is not legal in most parts of the world. The Netherlands and Belgium are currently the only countries who allow the practice. Involuntary euthanasia is not legal anywhere. Physician-assisted suicide is currently legal in the United States in several states, including Oregon and Washington, and in a handful of other countries. Physician-assisted suicide is only done when a patient has a terminal diagnosis and is suffering, with little or no relief. In such cases, a patient may wish to control when and how they die. A key part of physician-assisted suicide involves how the suicide is enacted: The patient must be the one to take the medication. It is illegal for a friend, family member, physician or anyone else to administer the medication; to do so crosses the legal line into the definition of euthanasia. Explore more about reasons for supporting or opposing physician-assisted suicide and reasons for seeking physician-assisted suicide. Sometimes called terminal sedation, palliative sedation is the progressive use of sedatives to achieve a desirable level of comfort patients who are terminally ill and experiencing unrelieved suffering. Death usually follows shortly after a patient becomes sedated. Palliative sedation is neither euthanasia nor is it physician-assisted suicide as the intent is not to cause death. Though death may occur, it is often unclear whether the death occurred because of the sedation or the terminal illness itself. Palliative sedation requires the consent of the patient. If a patient is unable to make decisions for himself or herself, the decision falls to the patient's designated health care decision maker. The patient is unable to deliver the correct dosage of a palliative sedative, which is usually given as a suppository or an infusion. Because the sedation is fast-acting, the sedatives can be only given by a physician, nurse or another of the patient's primary caregivers. Explore more death and dignity resources for patients. Is Palliative Sedation Physician-Assisted Suicide? What Are the Arguments For and Against Physician Assisted Suide? Why Do People Seek Physician-Assisted Suicide? Why Is Palliative Sedation Used on People Who Are Suffering? What Do You Need to Sign for Your End of Life Wishes? What Are My Health Insurance Options for Hospice Care? Why Do Fewer Blood Cancer Patients Use Hospice?